In this post I’ll break down the various steps required to mine the eagerly anticipated Zcash which is due to be released on the 28/10/16. In advance of the launch day we can prepare our machines to be ready right from the very start. 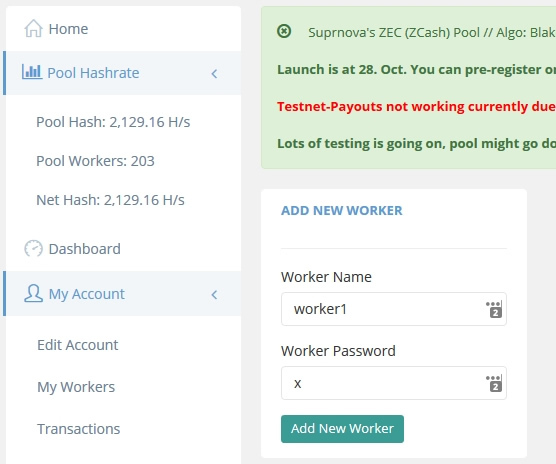 We’ll be mining using the Suprnova pool so if you don’t already have a account their you’ll need to create one. Use the link below to register for Suprnova and get your account user name. With the account and worker setup at Suprnova we’re now ready to download and setup the miner. 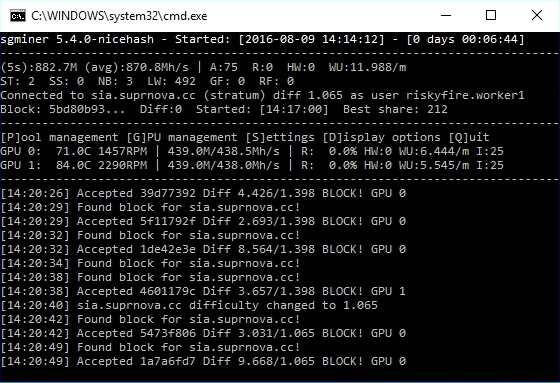 The miner we’ll be using today is a fork of the Nicehash miner but cruicailly it can be used on the pool of our choice, in this case Suprnova. Use the link below to download the Zcash Miner for Windows. Two versions of the miner are available select the version your CPU supports. For newer cpus choose AVX and for older cpus choose SSE2. Once downloaded extract the files into a new folder. Save the file. Ensure the file has saved as a .bat file and not a .bat.txt file. Double click on start-sse2-suprnova.bat to start the mining program. Allow the program access through your Firewall if required. 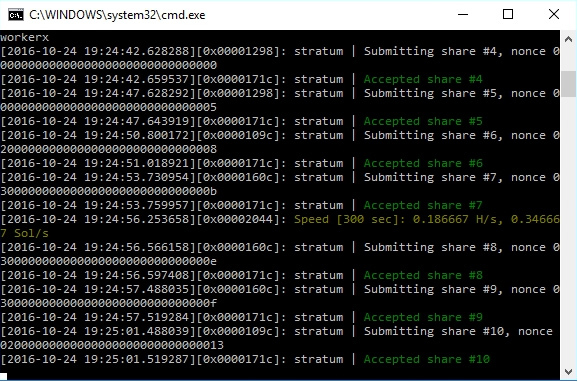 I recently did a post on using the Marlin miner at the Siamining.com pool and in this post I wanted to do a comparison using another pool and different mining software. SGMiner has been extensively tested and developed and is one of the most popular miners due to it’s performance and also the wide range of algorithms it supports. This miner can be used by Nvidia and AMD graphics cards. Today we’re using a custom version which is best suited for use mining Siacoin and it can be downloaded using the link below. Using the 2 X R7 370’s installed in this machine and using their default clocks speeds of core 1030 memory 1400 I was able to get a average hash rate of 870 Mh/s around 435 Mh/s for each GPU. I did test the effect of changing the miner intensity but it didn’t seem to yield any obvious performance gains during this brief test. 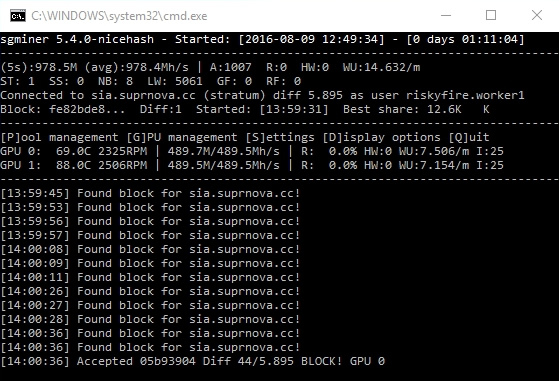 I also tested this miner on another GPU a Gigabyte R9 280x using factory clocks speeds of core 1100 mem 1500 and it hashed at 910 Mh/s for comparison. 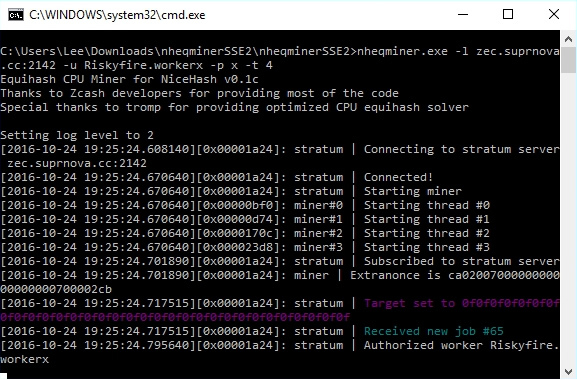 Overall this miner and pool combination performed very well and with no advantage or disadvantage in comparison to using the Marlin miner on the Siamining.com pool. A longer duration test or wider range of tested hardware might provide a better indication of the best combination but I think the time would be better spent on optimizing drivers, clock speed and voltage use to get the best overall performance and efficiency from mining Siacoin.